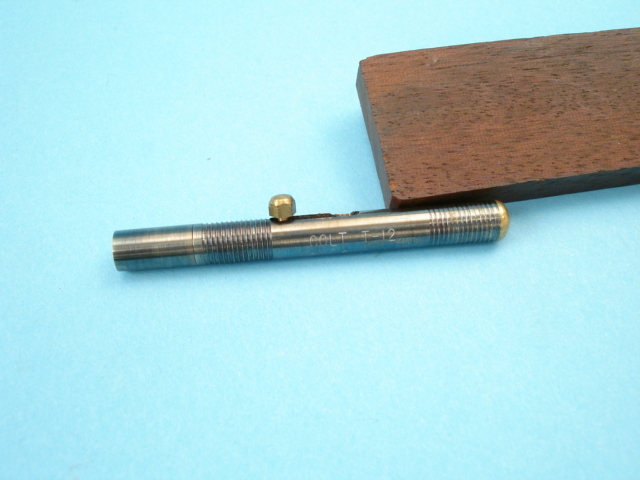 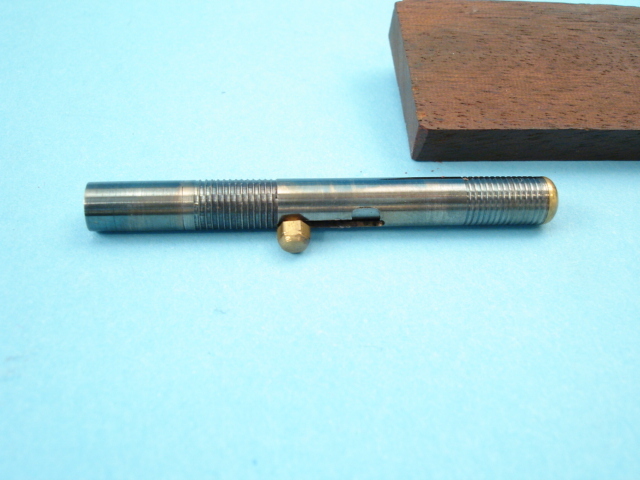 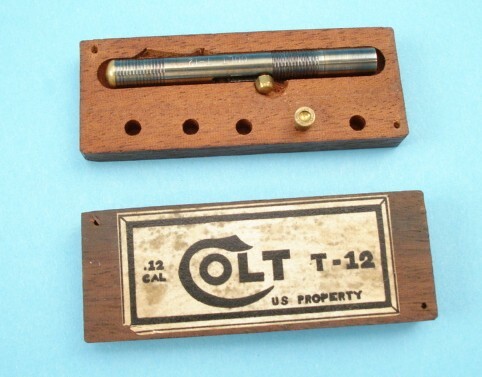 .12 caliber, simple bolt action single-shot barrel gun, reputed to be designed for easy concealment for assassination or suicide use by government agents. 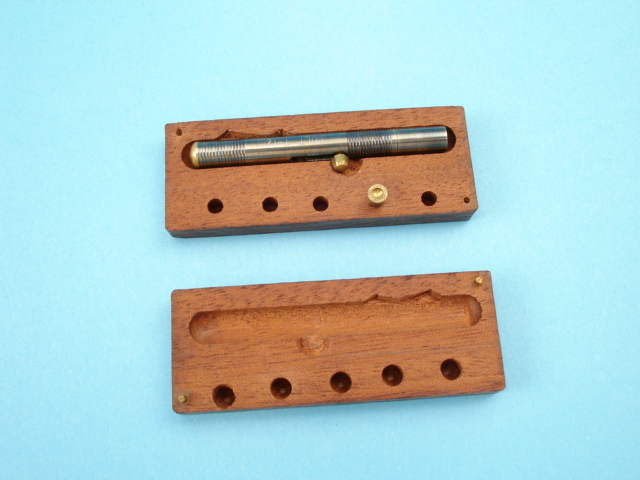 Contained in hollow wooden block together with two cartridges. 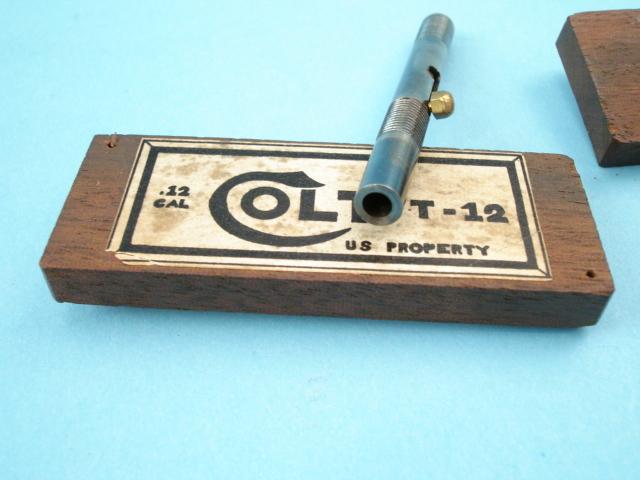 White label on front reading: .12/Cal./ Colt/T-12/U.S. 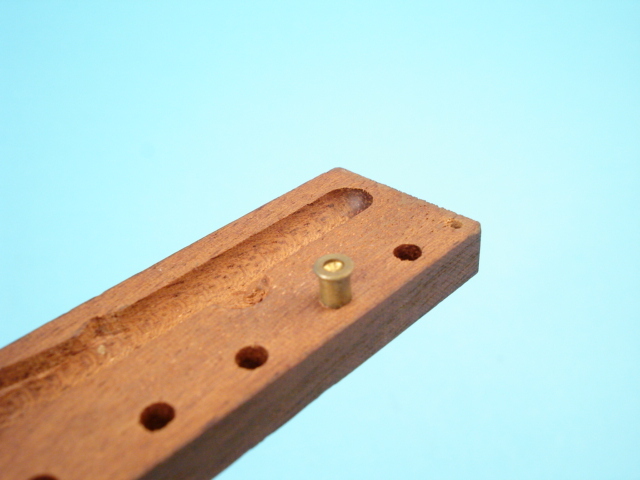 Property.